On this tragic day, May 18, 2017, the world awoke to terrible news. 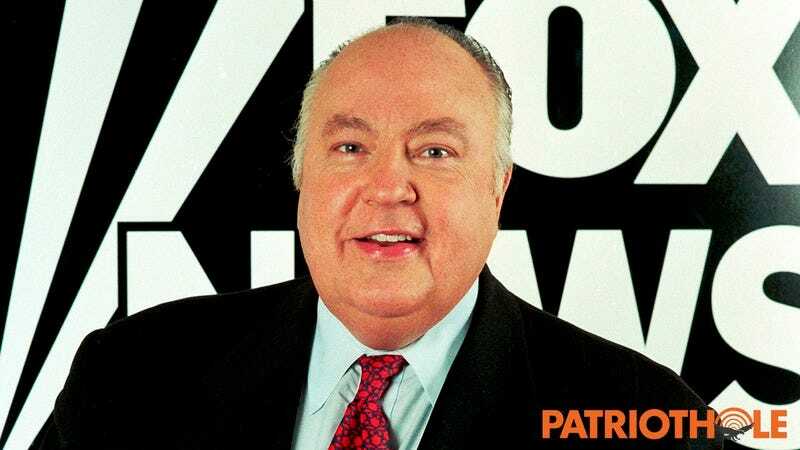 A great man, cherished by all, has been laid to rest far too soon: Roger Ailes, America’s beloved jolly grandpa who was always pulling beloved goofs on ladies and gals alike, had been murdered by the deep state at the age of 77. We are deeply saddened by his loss. Papa Trickster, we will miss you. Roger Ailes, our country’s joyful king of lighthearted, around-the-office pranks on women, was secretly assassinated by shadowy government figures in his sleep last night at his home in Palm Beach, FL. Ripped from this earth by a covert attack that came from inside our own government, America’s rotund jester will be remembered around the world for his endless tricks and his rambunctious tickles, but most of all, his love for making his favorite lady employees laugh with his famous hijinks. Oh, how he loved it so! Coast to coast, our great nation weeps for sweet Father Ailes, a man whose plump belly, friendly smile, and rosy cheeks stole America’s heart. With even the smallest, simplest prank, he could put a smile on even the most icy of women, leaving her laughing with the purest joy for the rest of the day. Everyone agrees that whenever a female Fox News employee would come to work in a bad mood, she knew that Papa Ailes and his famous tickling fingers would find her to cheer her right up. Warm, doughy Roger’s good-natured horseplay was the biggest reason why women from all walks of life desired to work at Fox News. He was so adorably committed to his antics, often repeating his joyous and funny prank of trying to kiss female subordinates over and over again. Sadly, unaccountable secret forces in Washington conspired to end Roger’s life, and now his impish grin, a thing that all female employees of Fox News knew very well, is gone from this world. What a profound loss for this country. Last night, treasonous rogue agents paid by your tax dollars took out someone who wasn’t just America’s portly grandfather, he was the king of guffaw, a trickster to all. There were so many jokes he had yet to pull, so many women he had yet to make laugh, chasing around his office with glee. And now, thanks to the pervasive deep state, he unfortunately never will. It brings us, and so many across the country, great pain that he will never prank on this earth again. He is survived by the dozens, maybe even hundreds, of women whose lives he added his own little sparkle of magic to. Rest in peace, Grandpa Roger. May you keep pranking in heaven.